Liverpool’s Radio City Talk aims to get us all talking about mental health this Blue Monday; here’s Getintothis’ Cath Bore with the details. Blue Monday, the third Monday of January is. we’re told, the most depressing day of the year. Everyone’s skint following the annual Christmas blow out, payday for most is still two weeks away, and it’s so bloody cold and dark outside. It can only help, then, that this Blue Monday (15th January), Radio City Talk presenter Mick Coyle and Chasing The Stigma’s Jake Mills host a 24 hour radio broadcast live from the station’s studios in St John’s Tower. Kicking off at 9am, the Mental Health Monday Marathon will explore issues around mental health in a big and ambitious way. ‘For Radio City Talk to host a mental health discussion of this scale is an incredible statement to the rest of the country that it is ok to talk about mental health. I think it speaks volumes that it is happening in Liverpool – we don’t like to do things by half!,’ Jake tells us. The Mental Health Monday Marathon will have phone ins, and special guests popping in to share stories. 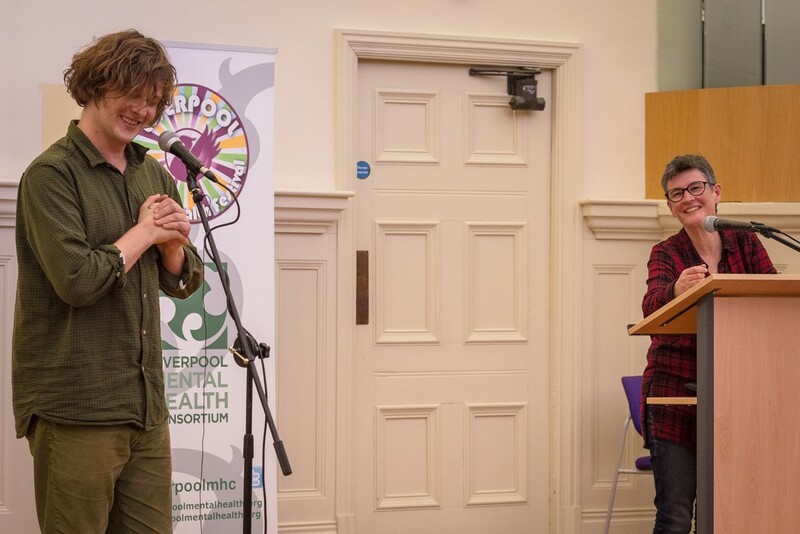 Musician and Liverpool Mental Health Festival patron Bill Ryder-Jones plus Claire Stevens from Liverpool Mental Health Consortium join Mick and Jake between 2-3pm, and there is a special focus on young people and mental health between 4–5pm. Local support services and organisations such as The Reader, who use reading to combat loneliness, will also drop by during the 24 hours, chatting about help they provide. According to NICE (National Institute for Health and Care Excellence) between 4 and 10% of people in England will experience depression at some point. Mixed anxiety and depression has been estimated to cause 20% of days lost from work in UK. (Mental health and wellbeing in England: Adult Psychiatric Morbidity Survey 2014). ‘I really strongly believe that such a massive effort…can go a long wait to directly challenge the unnecessary stigma attached to mental health. I don’t think it is unreasonable to say, it in many ways could be lifesaving. It is going to be a challenge, but that’s the point. If we can (talk about mental health) for 24 hours then hopefully we can give others the confidence to do it for a minute or two,’ adds Jake. Mental Health Monday Marathon starts 9am Monday 15 January and concludes at 9am the following day.